Teotihuacan: City of Gods is a strategic game of resource and worker management: • Manage a group of worker dice who become more experienced – and effective – as the game progresses. • Build a different board and start with varied resources and bonuses every time you play. • Raise the Pyramid of the Sun, build houses, climb temples to secure the favour of the gods. • Develop the perfect set of technologies to bolster your strategy. • Set a different path to victory every time you play. • Challenge your friends or a simple but robust automated opponent. 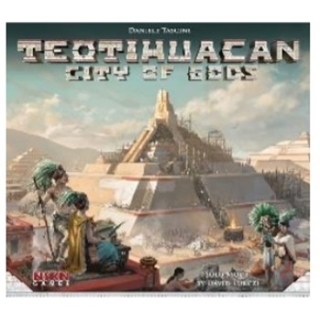 Strategize, adapt and become the most influential figure in Teotihuacan: City of Gods.